spring cleaning: huge on-line fabric sale! We’ve been busy doing a little spring cleaning around the studio: new curtains to block the bright afternoon sun, new lampshades, and much-needed space in the closets since we’ve been bursting at the seams with fabric yardage from all our various collections over the years. 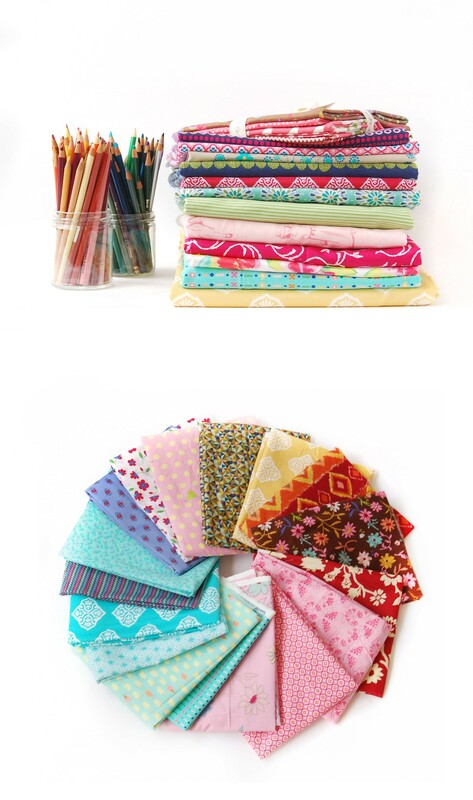 We thought it was about time to share some of these fabrics with you! Some of our most recent collections have been available only in Spotlight stores in Australia, New Zealand, and Singapore. And we know you’ve been eager to get your hands on some of those fabrics, in addition to some of our long-out-of-print collections from both our Oliver + S and Lisette lines. So we’ve stuffed some USPS Large Flat Rate Priority Mail boxes with cuttings from these collections, and they’re now listed on eBay. The cuttings in these boxes will all range in size from approximately one to two and a half yards, and each box contains a variety of lengths. But every box contains at least 20 yards of fabric in total, so you’ll have a huge assortment of prints and quantities and even substrates to choose from. We’ve photographed the contents of each box and described the fabric substrates, so you’ll get a pretty good sense of the contents by reading the description and looking at the photos. But these boxes are meant to be a bit of a surprise, too. We’ve included all sorts of additional goodies and surprises as well. There are nine boxes listed today. You’ll be able to bid on them if you have a shipping address in the United States. (Sorry those of you outside the US.) They’ll remain open for bidding for the next seven days. At about this time next Tuesday, we’ll be listing another nine boxes, so stay tuned. And happy bidding! I am interested in finding out more about this. Oh, it’s going to be fun to watch this one (and maybe bid, depending on how high the prices get!) So many lovely fabrics and it looks like the Cape Ann clothing print is going to be a hot ticket! que pena que no lo vendan fuera de ee uu son muy hermosas. Bonnie, what is it that you want to know that’s not covered above?